The former Texas governor sits on two corporate boards - one of them is Energy Transfer Partners - and that may present a confirmation issue. Energy Transfer Partners has a subsidiary known as Dakota Access LLC, which is attempting to build the Dakota Access Pipeline. That Dakota Access Pipeline has been the subject of public protests over its potential environmental impact and damage to Native American lands. Recently, the Obama administration blocked the Dakota Access Pipeline easement through Lake Oahe, a move that jeopardized the 1,172-mile underground pipeline. The incoming Trump administration has said it will review the decision. Mr. Trump once invested in Energy Transfer Partners and supports completion of the Dakota Access Pipeline. He told Fox News Sunday‎ that he would intervene if the matter is not resolved before he is inaugurated. “When I get to office, if it’s not solved, I’ll have it solved very quickly,” he said. Perry has been tapped to lead an agency he has suggested should be shut down. 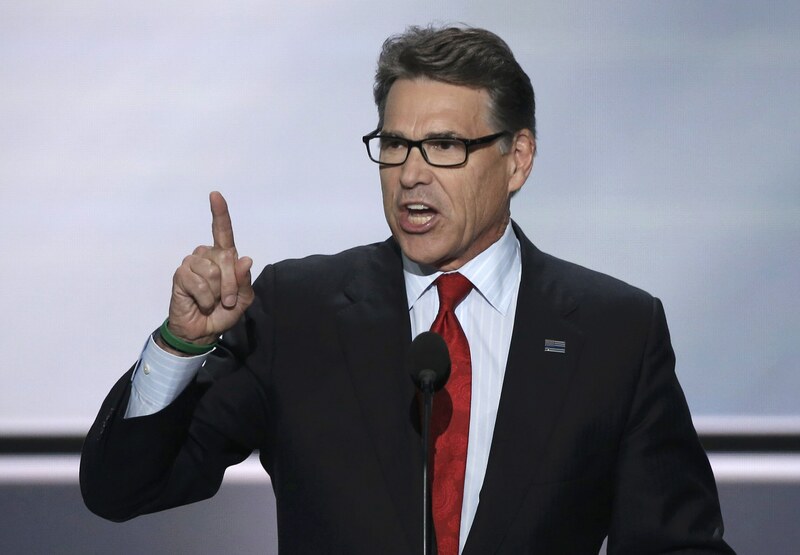 Although when Perry ran for the 2012 GOP nomination, during a debate, he famously forgot the name one of the three agencies he had pledged to eliminate. “The third agency of government I would -- I would do away with Education, the --Commerce...Commerce and, let’s see. I can’t. The third one, I can’t. Sorry -- oops,” he said.